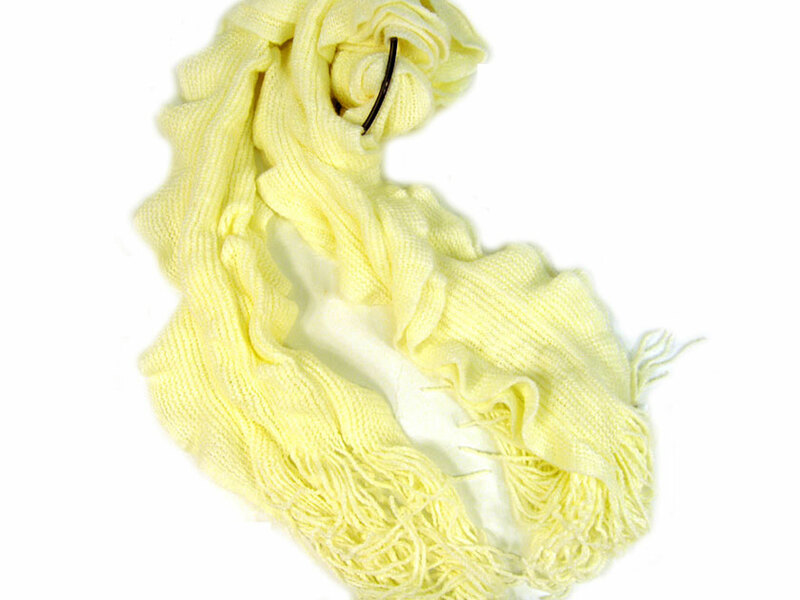 Ruffled ivory colored knitted scarf in acrylic material which is soft as well as lightweight. Fringes on the edges completes this scarf. Imported.